Oil spills is common on the ocean or coastal waters but it can also happen in land. Land spill happens when a liquid petroleum hydrocarbon is released into the land, either by accident or due to operational activities. Land Spill is considered as a form of pollution, known for bringing negative impacts on land and on the living things on it. Land Spill, although inconvenient and harmful, cannot be prevented. Good thing, there are countless ways to clean up the land contamination. If ever a land spill happens within your area, you can simply get AQUAQUICK GLOBAL environmentally friendly product. It can effectively clean land spill and can protect the environment as well as plant life. 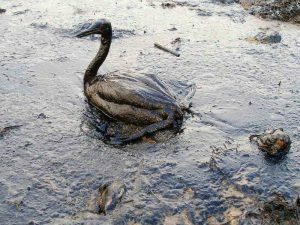 Clean the oil spill as early as possible to avoid the mentioned negative effects above and to protect the animals, environment and even yourself. 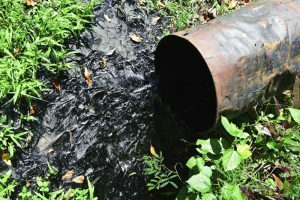 Generally, the negative effects of oil spills are due to the environmental discharge of numerous different organic compounds that make up the liquid petroleum hydrocarbon or crude oil and other oil distilled products. Hydrocarbons, the most prominent compound found in these products, are made exclusively from hydrogen and oxygen atoms that bind together in several different ways. This results in paraffins, isoparaffins, aromatics, cycloalkanes, as well as unsaturated alkanes. These organic compounds may affect any living things within the area where the spill occur. 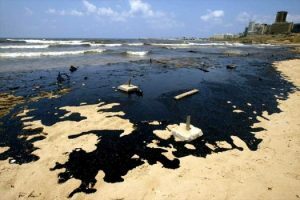 When oil spill happens on land, the oil could reduce the soil’s ability to hold oxygen, hence making a fertile land unfit for plant life of all sorts. Since oxygen is the key element of plant’s growth and photosynthesis, the existing vegetation is likely to be suffocated while the growth of new plants can be affected. The negative effects can be worse especially when the earth already absorb the spilled oil. In that case, the underground streams may be contaminated. Since the groundwater may flow across a bigger area, the oil can spread beyond the confines of the spill’s original area. If the oil meets the water supplies, the latter may also be contaminated. 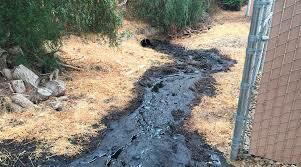 Oil spill is harmful both for humans and plants, and for animals. Oil is highly toxic to numerous animals and even microorganisms. It can cause impairment of the bird’s ability to fly, can make it very difficult for animals that rely on scent to find each other, can blind animals and worse, can kill them.